If you are missing a few teeth in your smile, you should know that it can affect much more than how people perceive you. Patients who are missing teeth are at increased risk for poor nutrition, tooth decay, and even jaw deterioration. To prevent serious oral health issues, we recommend asking an experienced Troy dentist if you are a candidate for dental implants or other dental restorations. In this blog post, we will go over how dental implants can improve your smile and overall dental health. When you are missing a tooth, it can be difficult eating your favorite foods. When this happens, you may restrict your diet to only those foods that are least painful to eat with the teeth you have left. Sometimes this means patients aren’t able to eat foods rich in the nutrients they need to be healthy. It’s important to understand that your oral health is part of a larger system. When you are unable to eat nutrient-rich foods, it can have an effect on the bones in your body. It’s not uncommon for people who are missing one or more teeth to suffer from tooth decay and jaw deterioration resulting from poor diets. Your teeth are held in place by the roots under the surface of your gums and from the support of your surrounding teeth. This means that when you lose a tooth, you also lose part of what was supporting nearby teeth. Teeth that have nothing to lean against begin to tilt toward the open space and can even become loose over time. Shifted teeth are also more vulnerable to tooth decay, which can lead to further tooth loss. To prevent subsequent damage to your smile, we recommend consulting with a knowledgeable dentist to see if you are a candidate for dental implants. Tooth roots help stimulate the bone cells in your jaw bone. However, when you lose a tooth, your jaw bone loses this stimulation and begins to deteriorate. In other words, your jaw bone needs pressure from tooth roots in order to remain healthy. The only way to stop jaw deterioration after losing a tooth is to fill the empty space with a dental implant. However, the longer you wait to start the dental implant process, the more difficult it will be to repair your smile. In severe cases, jawbone loss can lead to jaw shrinkage and facial collapse. 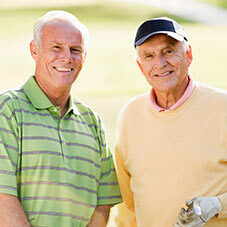 Whether you need one or several teeth replaced, you may want to talk to your dentist about dental implants. Dental implants are a serious commitment, which is why it’s important you have all the facts so you can make an informed decision about your oral health. If you are interested in learning more about our dental implant service, please feel free to schedule an appointment at our Troy MI dentist at (248) 528-2270. Dr. Kelly M. Giera DDS strives to help patients achieve their best smiles by offering her expertise in dental implant procedures.